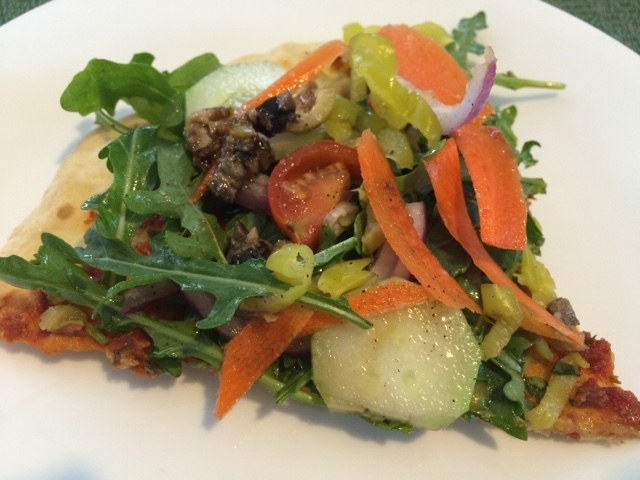 The Vegan Mouse: Salad Pizza! 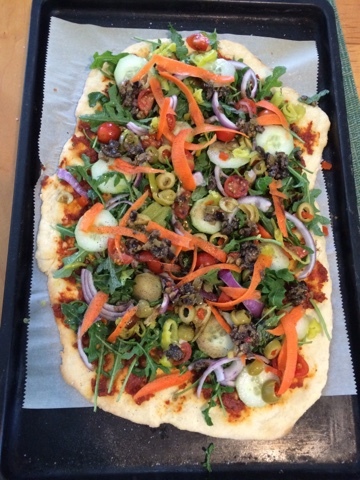 The Happy Pear recipe for salad pizza on YouTube is genius! 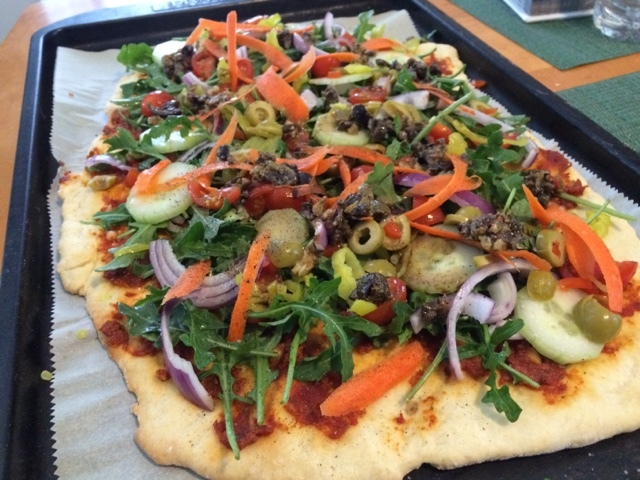 It has an easy pizza dough base that's thin and crisp like a cracker. 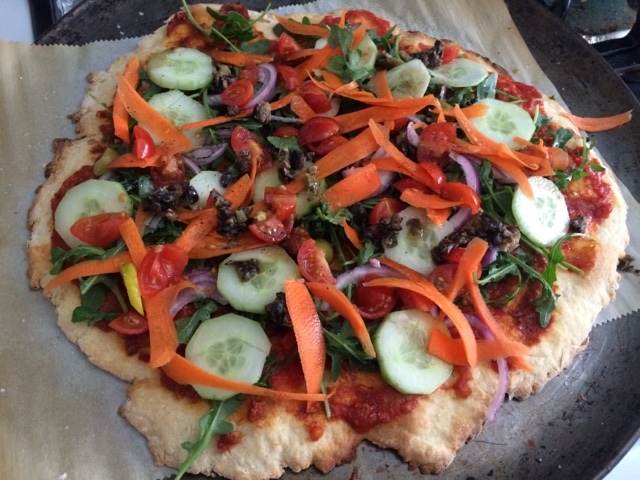 After baked, it's topped with homemade sundried tomato pesto and all the VEGGIES! I dressed my arugula with lemon, olive oil and salt for extra flavor. It's also drizzled with balsamic and olive oil over the whole thing. Made one for my dad too. I added marinara on his base to make it saucier. Yummeh!!!!! 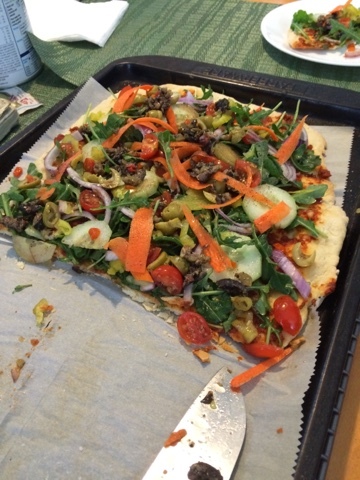 Blaze Pizza has a fantastic balsamic glaze. 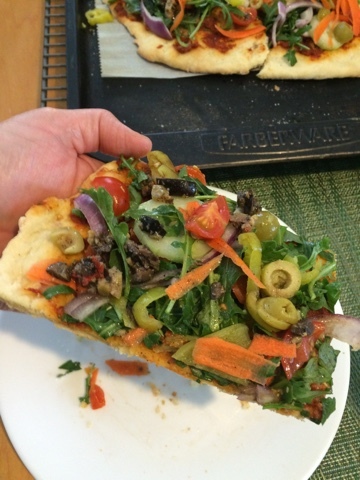 After holding up the line forever making them pile all those veggie choices onto my pizza (vegan cheese, even!) it’s still not complete without that glaze. Everyone comments how good and colorful it looks :). Yours looks outstanding!